Brain training for birth - using mindfulness, hypnosis, CBT and the wonderfully supportive Gentlebirth community. Physical comfort measures for birth with or without the epidural (we'll help you and your partner build your birth toolkit so you can stay calm, confident and in control on the big day). Navigating your way through the maternity system (we'll give you the tools to create birth preferences and ensure you receive the most up to date evidence-based care). You can find out more about Gentlebirth (and positive birth in general), soak up the positive vibes and chat with like-minded mums on the Gentlebirth Mums Facebook Group here. 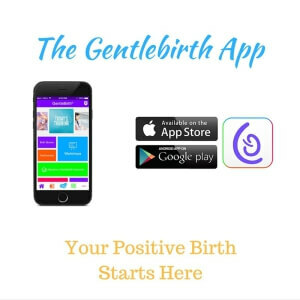 Our newest innovation is the Gentlebirth App, which you can download to your phone, ipad or tablet from the App Store or Google Play Store. Don't forget to use the code GBPHYSIO when you register to be in with a chance to win a year's free subscription to the app! If you'd like to take a workshop in Clonmel or Limerick, check out our dates for the rest of 2017 below and get ready for your calm, confident, gentle birth! Gentlebirth workshops are Ireland's leading antenatal classes which include hypnobirthing principles, neuroscience, sports psychology, evidence-based care, physical comfort measures, birth partner confidence and so much more. Couples leave our workshops feeling prepared, confident and excited for their babies birth. Enter my name (Louise Murphy) in the search box and you can book from there!